Ayia Napa Youth Council and Ayia Napa Municipality (both Cyprus), organized the largest sousta dance in which 330 dancers participated in the traditional dance, on 29 August 2010., in Ayia Napa, Cyprus. 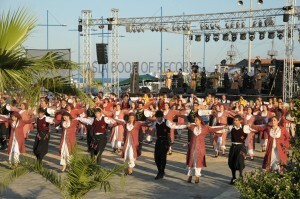 15 dance groups participated in the attempt and all the participants were dressed in their traditional costume. Comments for LARGEST SOUSTA DANCE are now closed.